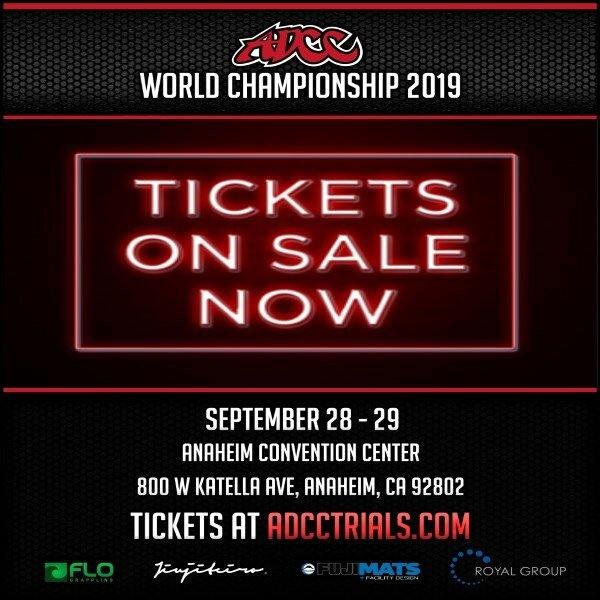 It is now time for the 2013 ADCC Submission Fighting World Championship, the most important and prestigious grappling tournament in the world, which will as always feature competition in no-gi grappling. Ustream. For more information on that, go to https://adcombat.com/adcc-worlds-2013-live-sream. Besides the competition in the five men's and two women's weight classes and the absolute division, there will be two superfights. Braulio Estima will take on Andre Galvao, and in a masters' superfight, Mario Sperry will face Fabio Gurgel. To preview this event, we spoke with Kid Peligro by phone Monday. Much attention has been given to the ADCC debut of the 23-year-old phenom, Marcus "Buchecha" Almeida of CheckMat. He has won double gold, at +100 kg and in the absolute division, in both the 2012 and 2013 Jiu-Jitsu World Championships, also known as the Mundials. That, however, is no guarantee of a victory for him in ADCC, where he will be competing at +99 kg. "It's a different transition. ADCC is not jiu-jitsu without a gi," said Kid Peligro. "It's got its own set of rules, and it's got its own little quirks, how points are scored. And I've seen some great people stumble, especially first year." He cited how it took Andre Galvao, now in this year's superfight, three times to win his weight and the absolute. "He didn't translate to the top form that he reached." While there are returning champions including Rafael Mendes, Dean Lister, Vinny Magalhaes, and Gabrielle Garcia, this event has historically seen some unexpected winners. As for this year, "It's really hard to determine a dark horse, because you just see it when you see it," said Kid Peligro. Asked to name a possible dark horse, he said, "I think Rustam Chsiev is the one. That's the one I can see, off the top of my head…. I could see him going to the finals." Chsiev will be competing at -87.9 kg, which is expected to be one of the most wide-open weight classes. We also discussed who is in and who is out in each weight class, who are the favorites at each weight, and much more. 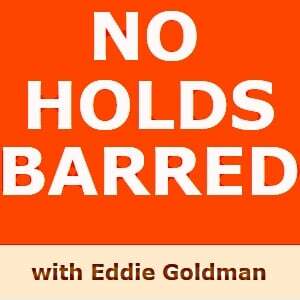 You can play or download No Holds Barred at http://nhbnews.podomatic.com/entry/2013-10-18T06_49_43-07_00 and http://archive.org/details/NoHoldsBarredKidPeligroOn2013AdccSubmissionFightingWorldChampionship. If one link does not work, please try another. No Holds Barred is also available on mobile phones and iPads through Stitcher (http://landing.stitcher.com/?vurl=noholdsbarred). Also, No Holds Barred is available through iTunes at http://phobos.apple.com/WebObjects/MZStore.woa/wa/viewPodcast?id=150801513&s=143441. The No Holds Barred theme song is called "The Heist", which is also available on iTunes by composer Ian Snow (http://magicpumpkinstudios.com). ONE Fighting Championship (http://onefc.com). ONE FC is Asia's largest and most prestigious mixed martial arts event. ONE FC features the best Asian fighters and has initiated the ONE Asia Partnership Network, which includes most of the major MMA promotions and MMA gyms in Asia. For more information, go to their web site, at ONEFC.com (http://onefc.com). Beezid.com – Penny Auctions. Your #1 source for exciting auction shopping and outstanding deals on just about anything! Top rated, most trusted auction site online. Where do you shop? Beezid.com – Penny Auctions. American Top Team (http://americantopteam.com). Whether you're a beginner or a champion, train with the champions in Brazilian Jiu-Jitsu, boxing, wrestling, grappling, and mixed martial arts at American Top Team. Check out their web site at http://americantopteam.com.